THE SECOND MIXED BILL OF THE SEASON offers Peter Boal's seasonal selections, handpicked to introduce the audience to dancemakers who are evolving the art form. His interest in American choreographers Robyn Mineko Williams and Matthew Neenan prompted commissions to make new works for the company. These are joined by a third new-to-PNB work by ballet superstar Justin Peck, set to a score by Sufjan Stevens. San Francisco Ballet company dancers in Justin Peck’s In the Countenance of Kings. 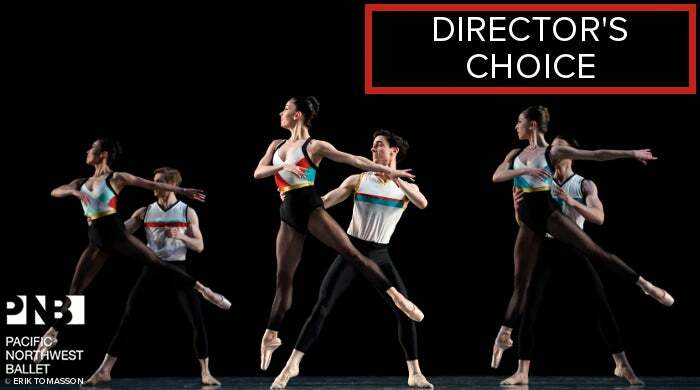 Pacific Northwest Ballet will be performing In the Countenance of Kings as part of DIRECTOR’S CHOICE. Photo © Erik Tomasson, courtesy of San Francisco Ballet.